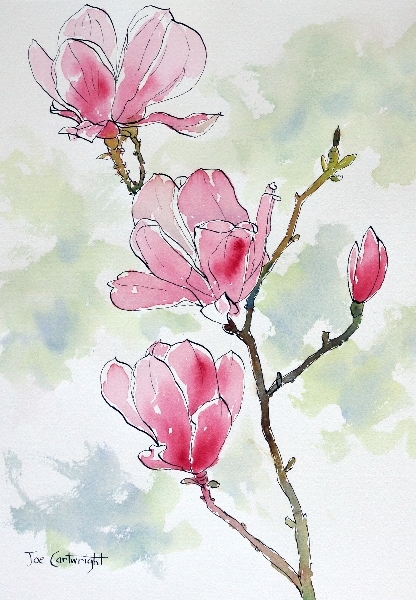 This is a step by step demonstration of how to paint Pink Magnolia flowers using pen and ink, plus watercolor wash. Here is the finished painting the steps for doing this drawing/painting follow in the rest of the article. 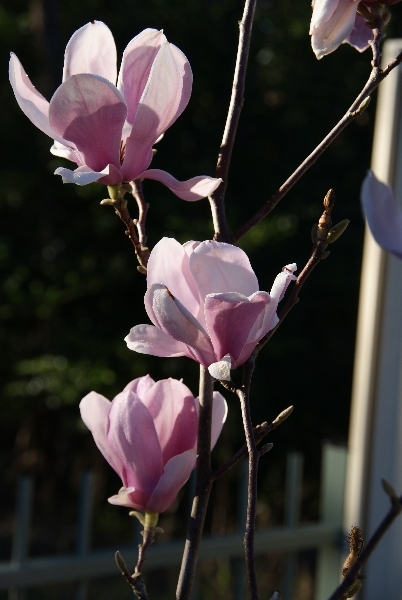 This reference photo of a pink magnolia flower was taken in my garden. It is my wife’s favorite tree. I chose this image because it already had quite a nice composition requiring very little adjustment. Needless to say I have many photos of this flowering tree. Some images are just to give me a detailed reference but for others I cropped the image into a scene that is ready for painting. Of course this is a lot easier and cheaper to do with today’s digital cameras. Paper: Arches 300gsm watercolor paper. I use the front side( the side where the watermark is readable). Size is approximately: 15″ x 11″ (38cm x28 cm). Ink: Permanent waterproof ink. If it is not waterproof it will wash away or at least bleed some when you lay down your watercolor wash. Pen, nib and holder: I use an inexpensive dip pen for most of my pen and ink work. Old watercolor brushes: Do not use your best brushes as the ink will in time ruin them. I find that cheap brushes with artificial fibers seem to work well for Pen and Ink work but are not so useful for watercolor painting. Watercolor paints: Winsor and Newton artists quality colors. Permanent Alizarin Crimson, Raw Umber, Burnt Sienna, French Ultramarine, Cobalt Turquoise, Aureolin. Watercolor Brushes: I use my good round watercolor brushes for the watercolor wash stage of this painting. Sizes used are 12 and 8. 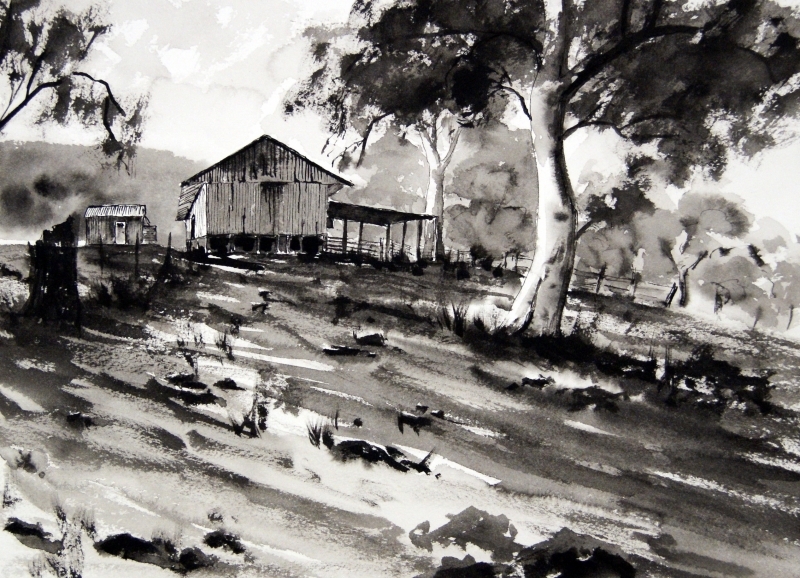 My general technique with this type of painting is to go straight into the drawing with my ink. No prior pencil drawing is done. As I am right handed I start at the top left hand corner of my drawing and painting surface. I do this so I can minimize any possibility of smudging the wet ink. 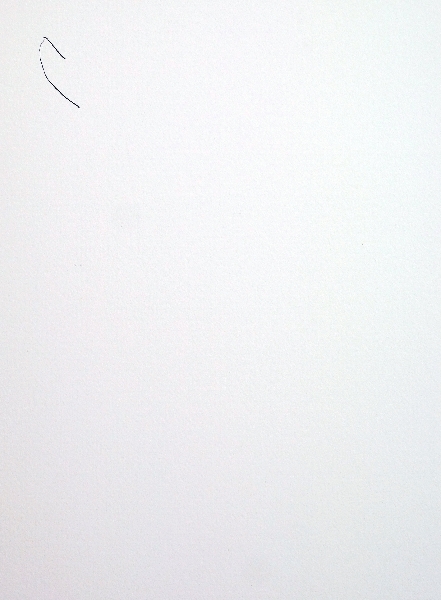 Figure 2: Start your drawing in the top left hand corner if you are right handed. I continue with my drawing and finish at the bottom right hand corner. You can see I added an extra bud on the right hand side. I did this to improve the composition. When drawing directly with ink like I did here it is very important that you look very closely at your reference image. Work out the angles of lines and where they intersect before touching your paper. Initially you will find this difficult but take your time and it will greatly improve your drawing ability. Let the ink dry fully before moving onto the watercolor wash in the next stage. 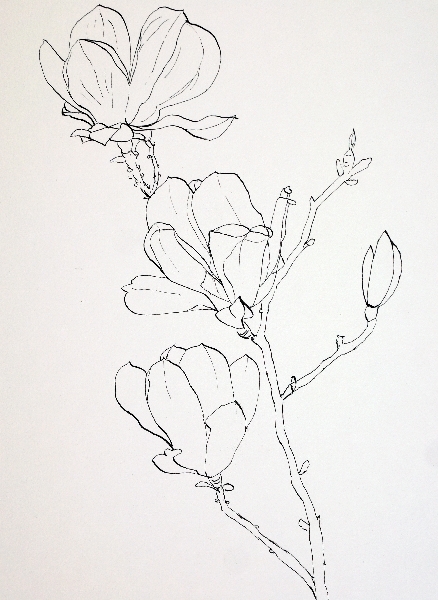 Figure 3: Completed ink drawing of pink magnolia flowers prior to laying down a watercolor wash.